The ice has melted and the local celebrity Mute Swans are once again paddling Eel Pond in Rye. 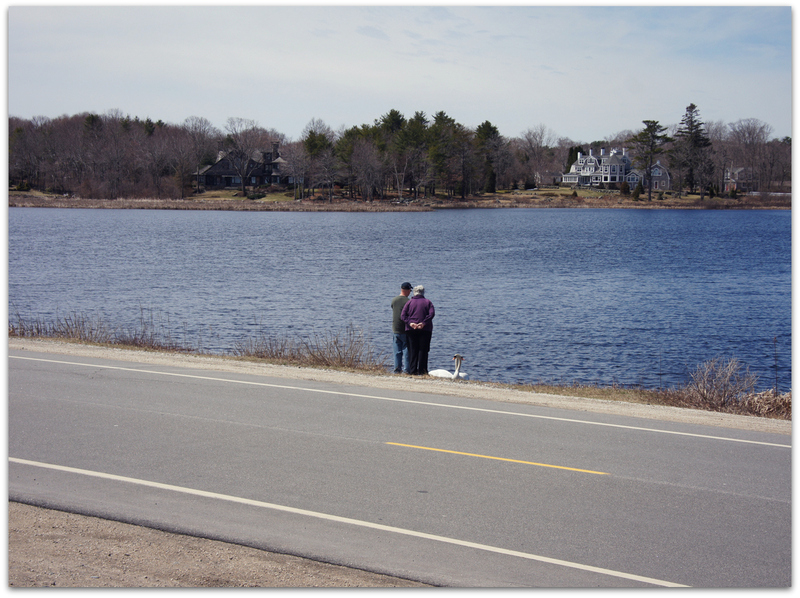 The brackish pond is just across Route 1A from Sawyers Beach and the ocean. Great spot to watch waterfowl and gulls. People stop to look at them and take pictures. We have had a few days of beautiful weather, melting the last of the snow, drawing us out of our houses to go explore. I only ever see one pair here. Some years I have seen cygnets. I have heard the local mute swan population is controlled, sometimes by removing their eggs. 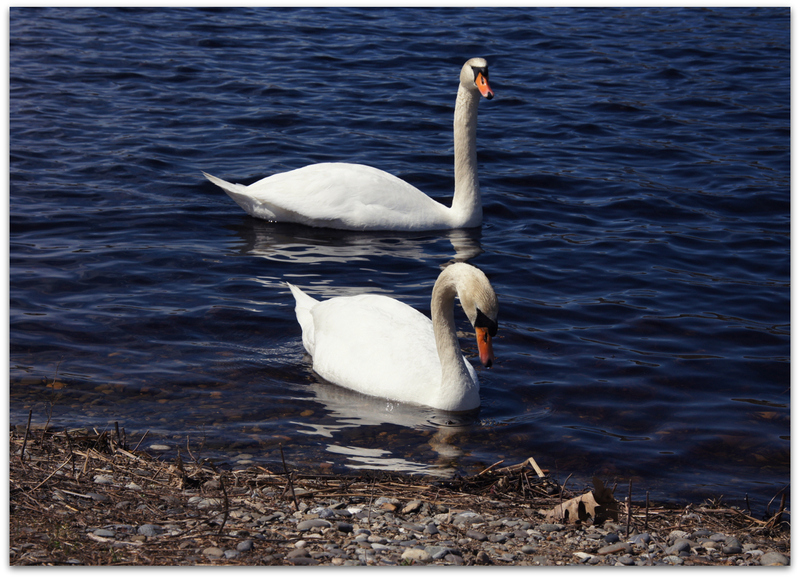 A native of northern and central Eurasia, the Mute Swan was introduced into North America to grace the ponds of parks and estates. Escaped individuals have established breeding populations in several areas, where their aggressive behavior threatens native waterfowl. 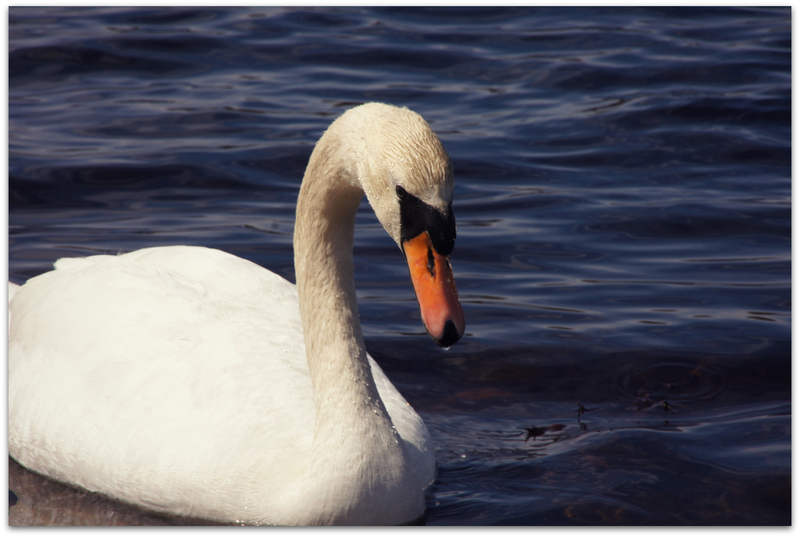 The mute swan is a calm and self-confident bird. Does not spook and fly off. Plenty of time to look and take pictures. If they hiss or walk toward you, heed the warning signs and go. 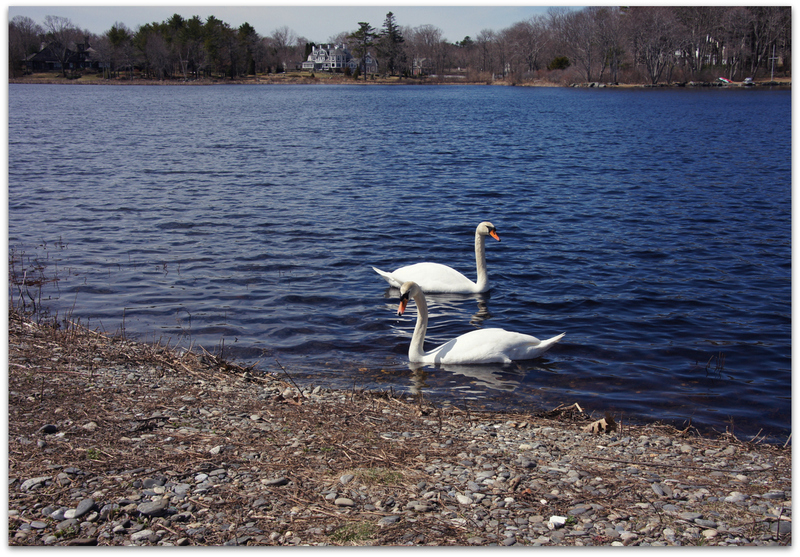 Mute swans can be aggressive, especially in nesting season, and may attack when thy feel threatened. BBC: How dangerous are swans? 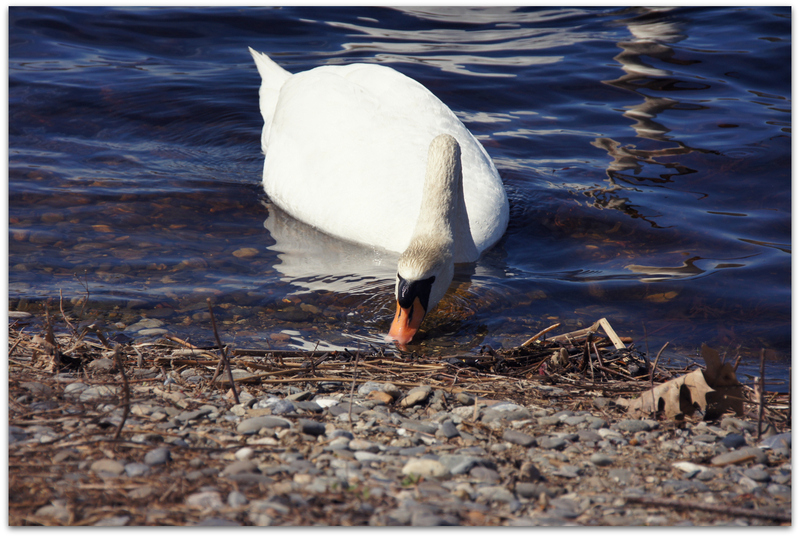 “Those intruding on their territory, including large wildfowl, land mammals and people, may be warded off with an aggressively fast swimming approach, often accompanied with hissing and busking, which is a threat display where the swans neck is curved back and its wings are half raised. 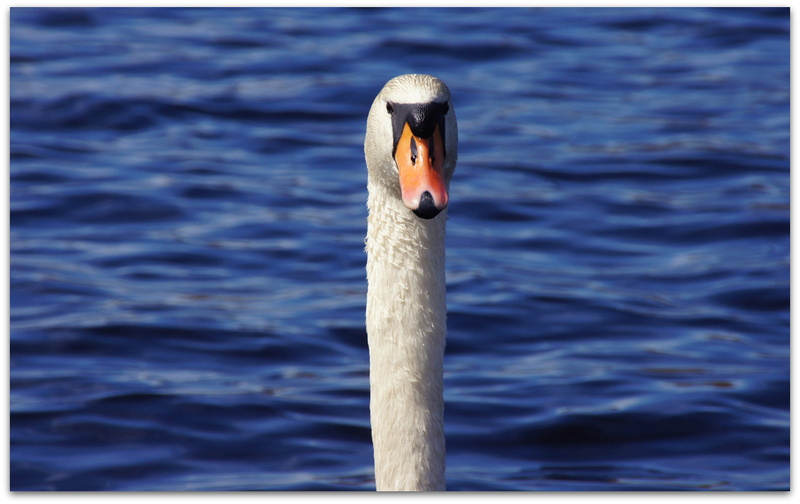 This entry was posted in Uncategorized and tagged Mute Swan on April 15, 2015 by Amy.